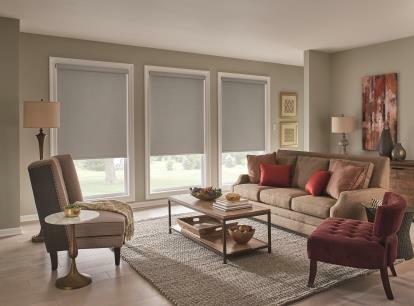 Our Graber Lightweaves Room Darkening Roller Shades are available in over 30 designer colors with a maximum size of w 144" x h 144" available. 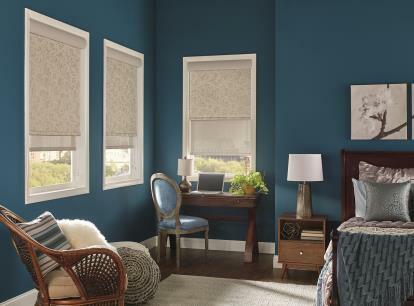 Room Darkening roller shades are an easy and gorgeous way to add chic style and functionality to any room. 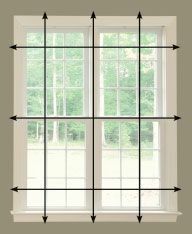 Room Darkening shades are perfect for your master bedroom or any room in your home that you desire total light blockage. 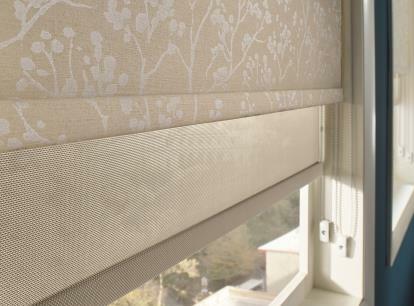 Please note that the fabric width of a roller shade is narrower than the finished shade width of the tube and its components (mounting hardware/brackets).  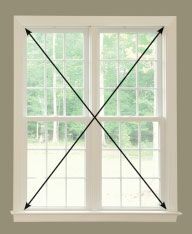 Light Gap for Continous Loop Lift 1/2" to 13/16"
Light Gap for Continous Loop Lift with Cassette 9/16"- 1 1/16"
Light Gap for Cordless Lift 3/8" to 3/4"
Light Gap for Cordless Lift with Cassette 7/16" to 13/16"